An ultra low budget heavy barrel rifle…can it work? We review a lot of very capable sniper rifles, with most of them having a price tag of more than $1500 USD just for the rifle, and many of them over $5000 USD. But we are always on the search for a low priced rifle that is also capable of performing sniping duties. We do this because most people, and many small law enforcement departments, cannot afford the very high end sniper rifles. So we like to search and review rifles that will work for every budget. We also have a interesting conceptual idea that we want to try in an upcoming article, which will require a very low priced rifle. We have tried budget rifles from Ruger, Mossberg, Howa and others, so now it was time to try out Remington’s 783 heavy barrel rifle to see how it does. The 783 line of rifles is Remington’s entry into the low price, no frills rifle market. 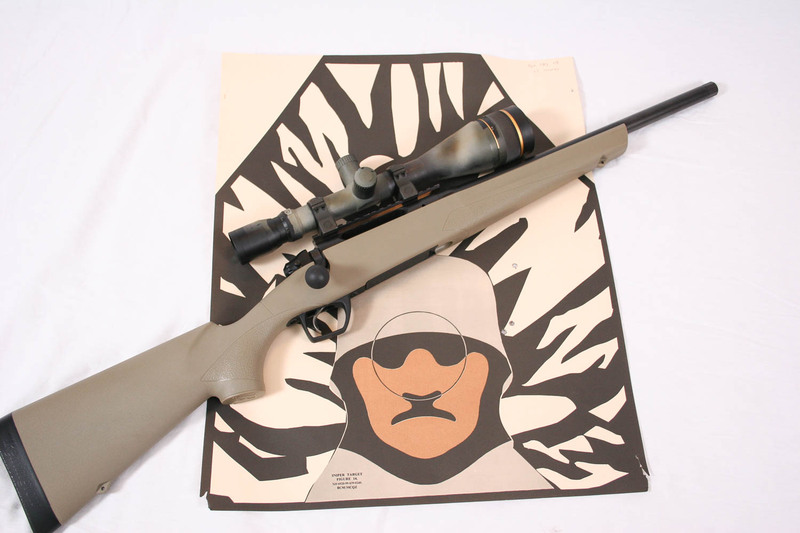 We have never really paid much attention to them, but then we noticed that they had quietly released a heavy barrel version of the rifle with a synthetic stock, and it was available in at least two useful cartridges for sniping, the .308 Win and the 6.5 Creedmoor. While the rifle obviously has a synthetic stock, what we liked best was that it had an actual heavy barrel and not a “predator” profile. So we ordered up a 6.5 Creedmoor version and got to work checking it out. Before we get started, we want to address something right off the bat. 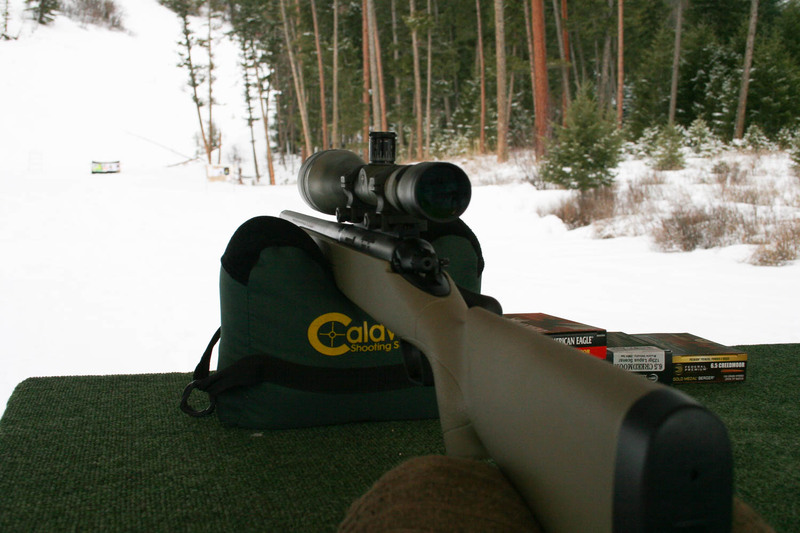 Every time we do a review of a low budget rifle our readers like to respond and let us know that we are being way to critical on the rifle and that we are forgetting that it is a budget rifle and that its purpose is not to be a full blown sniper rifle. Sometimes there are some other not so nice things said as well. Folks, we are Sniper Central, so when we evaluate a rifle, we have to evaluate it as snipers and try and report honestly if the rifle can work in this capacity. 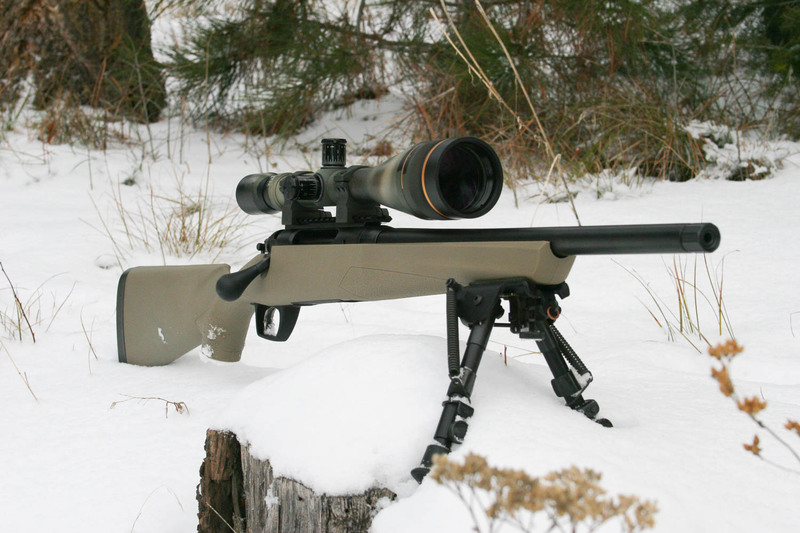 That is the question…how does it perform in the role of a sniper rifle. Yes, the price comes up in the review, but we are not “Bargain Rifle Central”, so we do not evaluate them in the context of if they are a great bargain or not, but rather can they be a sniper rifle. So, with that in mind…let us begin. The stock itself looks like, and feels like, plastic. Yes, it is an injection molded “tupperware” style stock that frankly has to be used in order to bring the cost of the rifle down. Even wood stocks are far more expensive than injection molded plastic. The rifle does have a decently thick recoil pad that Remington calls SuperCell. It does not feel as durable as a Decelerator pad or Limb Saver, but again, this is likely because of cost savings. Provided it is not completely abused, it should hold up fairly well. The buttstock itself has a straight comb with no rise to it, which may pose some problems for scopes that need to be mounted a bit higher, such as with a 50mm or larger objective and this rifle would be a prime candidate for a Karsten Cheekpiece or something similar. The buttstock has some texture to it, but with sweat and facepaint, it can get a bit slick. There is not a normal swivel stud in the rear but instead a molded-in plastic stud where a sling can attach. As this is not a true tactical or sniper rifle, we did not expect a vertical pistol grip, and while this one is certainly more of a hunting style pistol grip, is actually isn’t too bad. It provides a comfortable enough hand placement and there is a little bit of texture on it as well. There is also a slight build up in the grip area and while perhaps not a true palm swell, it does fill the hand nicely. It is tall enough that all three fingers from the shooting hand, at least a moderately sized hand, fit onto it without problem. On top of the pistol grip there is a slight depression for the thumb to rest and overall the shape is perfectly functional. The reach from pistol grip to the trigger is longer than ideal, but is not too much of a stretch for our average sized hands. The 783 has a blade style trigger where the blade has to be depressed in order for the trigger to be engaged and we are not huge fans of this setup that was made popular by Savage a decade ago with their AccuTrigger. We have had times, and I am sure most everyone else has as well, where the blade was not depressed completely and the trigger fails to discharge the round after a click. But, the system is popular with manufacturers because they can make a lighter trigger from the factory without the liability that comes with it. The 783 trigger is what Remington calls their CrossFire trigger system. The trigger shoe is similar in shape and size as their XMarkPro trigger found on the Remington 700 line of rifles, but with that mentioned blade protruding through that shoe. The blades never give a really good feel, but the shoe itself is fine and while the trigger is a bit rough on our test rifle, it broke at a consistent 4 lbs 2 oz. This is a bit heavy, but if you do not like it, no problem…it is adjustable. 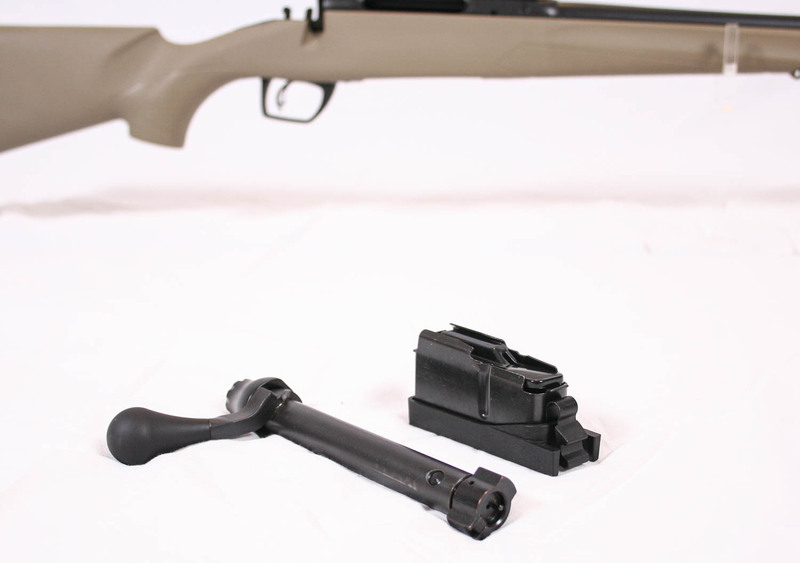 To adjust the trigger you do have to remove the action from the stock, easily done with the two action screws, and then there is a single adjustment for the weight of pull. The CrossFire trigger mechanism is different than the “Walker” trigger mechanism of the 700 and is more closely related to a Savage or Howa trigger. The floorplate is also injection molded plastic and has a nicely shaped trigger guard that is large enough for gloved fingers. All 783’s come with a flush fitting Detachable Box Magazine (DBM) that is located just in front of the trigger guard. To remove the magazine there is a depression at the front of the magazine well for a finger to fit into to depress the single lever to release the magazine. The magazine is made of steel, with a plastic bottom plate. 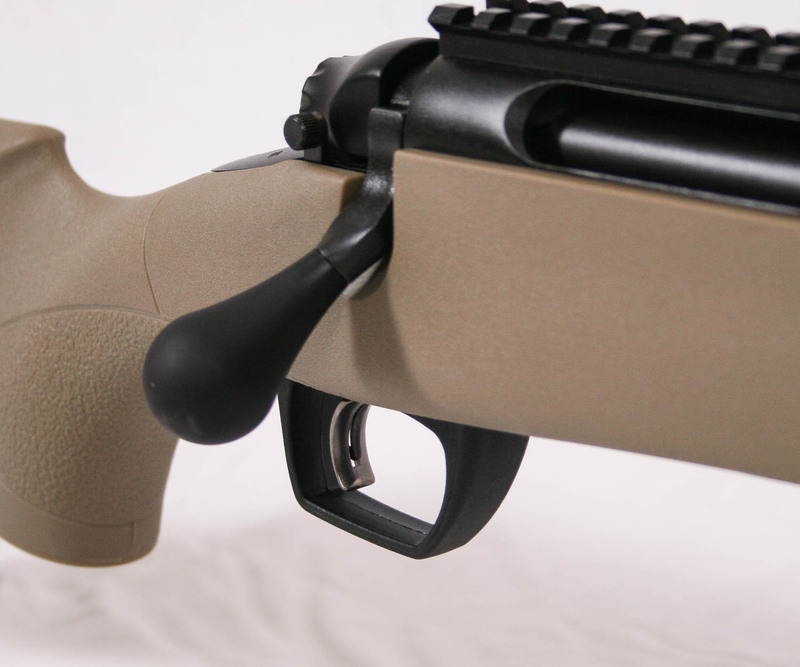 The bolt handle on the Synthetic Heavy Barrel version of the 783 has a nicely shaped large bolt knob on it that is very tactical in size and shape. We actually quite like it and it was a bit of a surprise on this budget rifle. At the rear of the bolt is what the marketing guys at Remington call a “Stylish Shroud” which we suppose is true. It is nicely shaped and has a protrusion that sticks out the back when cocked to provide a visual queue the rifle is cocked and ready to fire. The bolt itself has two large lugs up front which then constitutes a 90 degree bolt through. Something we found interesting is that the bolt head, which is modular and changeable, incorporates a better AR-15 style extractor than the C-Clip design found on their higher end model 700s. 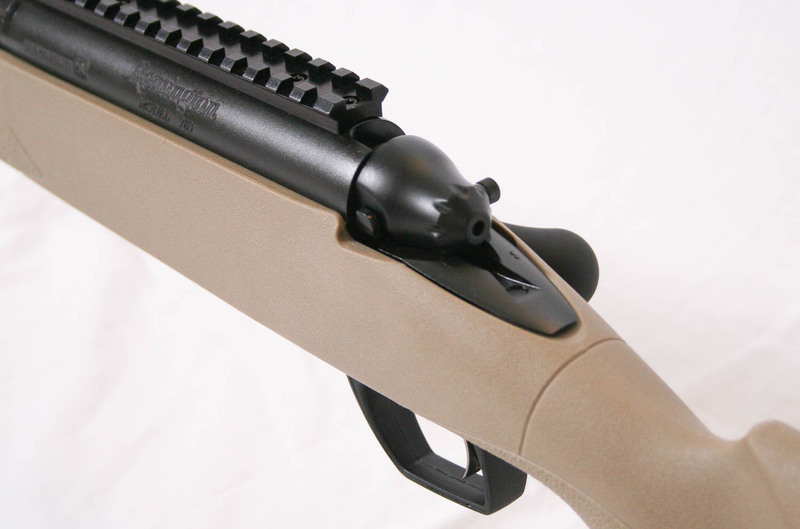 The bolt body is smooth and straight with the bolt handle welded onto it at the rear. There may be a few shared parts between the 783 and the 700, but they are not obvious to see. At the rear of the action the tang is the traditional Remington shape where you will also find located on the right hand side the normal Remington two position safety. With the safety lever pressed forward, the rifle is ready to fire, with it to the rear, it is on safe. The bolt can still be cycled with the rifle on safe which allows the operator to more safely unload a chambered round if needed. On the left hand side of the tang is the bolt release lever that is simple to reach and operate. Just press it down and pull the bolt to the rear and free of the action. The ejection port is more closed than that of the Model 700 with the top being closed instead of open. The ejection port has beveled areas at the front and rear and while it is smaller than that of the 700, it is longer than others we have seen. It will still be tight to try to get a finger in there to perform clandestine brass extraction by hand, but a modified technique can be used. Another nice feature we like on this basic no frills rifle was that it arrived with a scope rail already mounted. 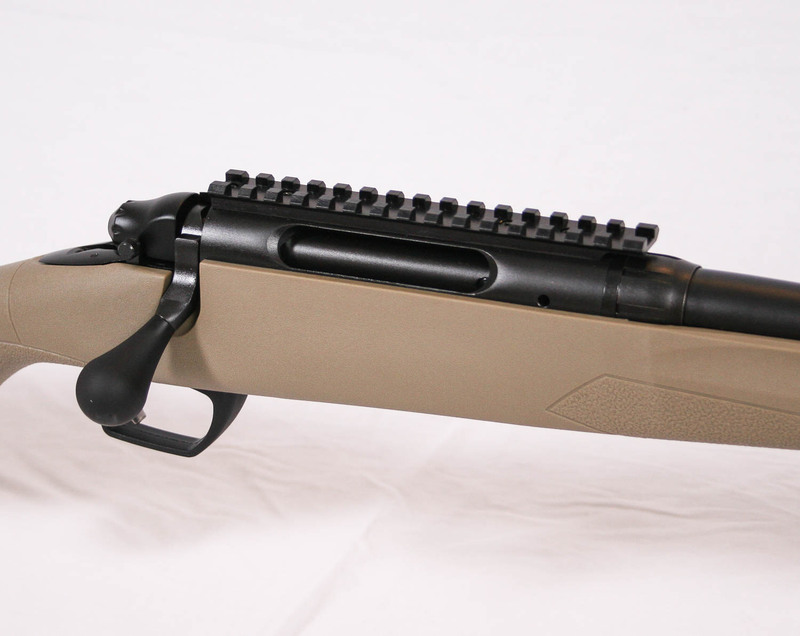 The heavy barrel combined with this rail, a larger bolt handle and a threaded muzzle are what constitutes the higher price of the Synthetic HB version of the 783 versus the traditional hunting versions. The rail appears to be a flat rail, non-canted, but it is a standard picatinny rail that allows for universal scope mounting between rifle. We tested it and it is aluminum, not steel, but it appears to be of decent quality. 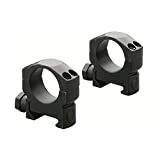 The barrel nut system of mounting and headspacing a barrel was popularized by Savage many years ago with their original 110 series of rifles. It is an easier way of mounting a barrel and easy means money savings and it is the adopted method with the 783. A bi-product of this barrel mounting system was that it allowed for an easier way to get a tight head spacing which can lead to better accuracy. 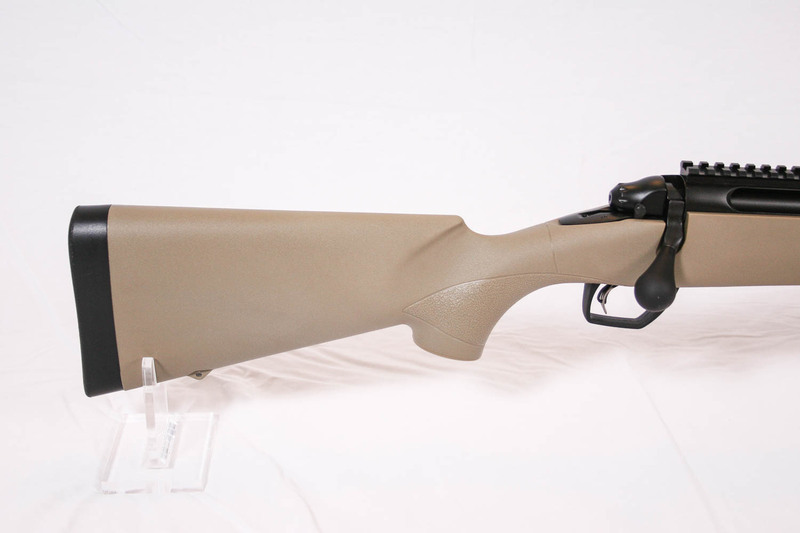 It seemed to work for Savage and we were interested to see how it’ll work on this rifle. Between the action and the barrel nut is the separate recoil lug, like what is found on the model 700 and Savage 10/110 rifles. The barrel itself is a heavy barrel, but we need to be clear that it is not the same heavy barrel profile as model 700 rifles. It does not have as pronounced of a palma step as the 700 heavy barrel rifles and is more of a straight taper. At the action end of the barrel, just in front of the not, the diameter is 1.080″ and at the muzzle it is .750″. Since the barrel is only 16.5″ long, it tapers fairly quick and we would classify it as a medium-heavy barrel, similar to a Steyr SSG-69 PI. When we first discovered and ordered this rifle, the 16.5″ barrel was the only option available, but we have just found out that they now have the same rifle in 6.5 CM, 308 Win, and 243 Win with a 24″ barrel. Though they were not yet available from Remington at the time of this writing, this would certainly be the preferred barrel length for long range work as it allows for higher velocity. The 16.5″ will do fine for anything up to 600 yards, and maybe a bit further. The barrel is also threaded for a suppressor or muzzlebrake with the typical 5/8″-24 TPI threading and it comes with a thread protector with some knurling on it to help with removal. 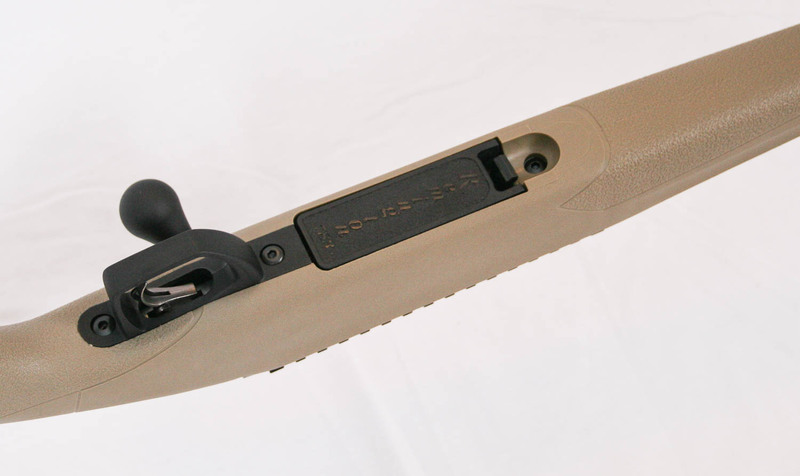 The forearm of the stock is thinner with some texture on it but it does not provide a very solid platform for shooting from bags or a rest, but there is a molded in sling stud for mounting a Harris style bipod. Remington says the stock has a high Nylon content to increase regidity and they even claim the barrels are free floated, and we suspect some of them are. But our test rifle was not. The barrel channel was a bit too tight and the stock touches the barrel on the left hand side for about 2 inches. It would not take much to sand the channel out a bit more, but if Remington claims a free floating barrel, then it should not be work the customer has to do in order to get it. The overall feel of the rifle is indeed plastic and cheaper than a model 700, but that is too be expected with a $400 rifle. It is very handy weighing less than 7 pounds and it has some nice features like the large bolt knob, threaded barrel, heavy button rifled barrel and an included picatinny rail. The bluing is good enough and it has a tactical feel to it with the matte black metal work and tannish-green stock with a tactical look to the trigger guard. It is not a bad looking rifle for the price and we would venture to say of all the budget rifles we have tested in this price range, it probably has the best quality feel to it. Now the question is, how will it perform? For our range testing we mounted up one of our test scopes we have on hand just for rifle testing, a Leupold VX3 6.5-20x50mm scope with target knobs and duplex reticle. Because of the rail, it was a piece of cake to mount up the scope using the Leupold Mk4 rings we keep with the scope. With the scope all mounted up and a selection of ammo on hand, it was time to head to the range and see what this little guy could do. 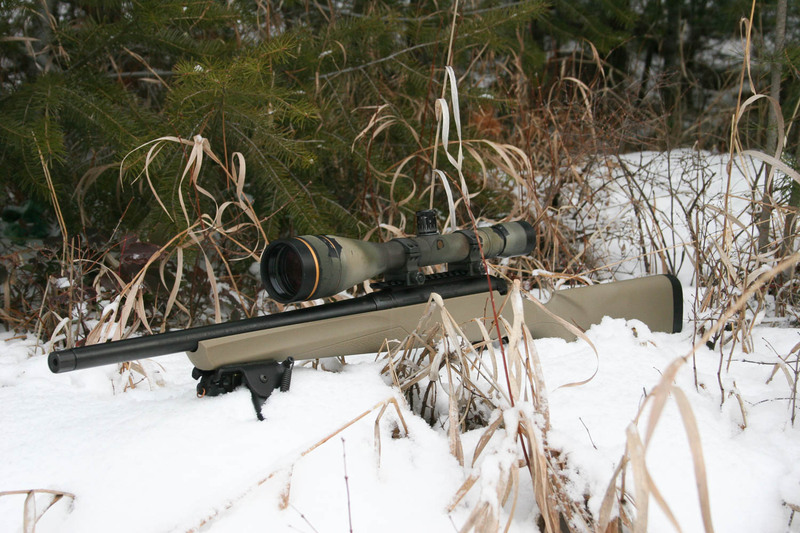 If you are not familiar with how we test rifles, please read the article how we test rifles and scopes. For our initial tests, we included the following ammunition which we feel represents a good variety of what is available for the 6.5 Creedmoor. American Eagle 120gr Open Tip Match, Choice 123gr Lapua Scenar, Federal Gold Medal Berger 130gr, and Hornady 140gr ELD Match. The first day we tried to get to the range for testing, we were snowed out with driving snow and wind, but the second time was a nice Montana winter day. 25 degrees (F), a couple of inches of fresh powder (snow) and calm winds. Our initial 100 yard accuracy tests yielded the following results. Because of the very low cost of this rifle, we did not expect match grade accuracy and we were hoping to find a good load that would average 1 MOA or better. The results were just about what we expected, though there were a few interesting discoveries. One of those was that the lower cost option for ammo actually performed the best. American Eagle ammunition is made by Federal and is their budget line, but this 120gr 6.5 Creedmoor load does use a 120gr Open Tip Match (HPBT) match bullet which seems to perform pretty well in this rifle. The AE ammo did not achieve the best group of the day, but it was certainly the most consistent with an average of .720 MOA, even a bit better than we were hoping. The Choice 123gr Scenar load also shows great promise, but it had one group that really opened up which was odd. The rifle obviously did not like the very aggressive ogive of the Berger 130gr bullet as the Federal Gold Medal Berger load performed the worst of the four. The Hornady load was not bad, and was fairly consistent, just not as tight as the AE. The light weight, short barrel, rifle really jumps around during recoil, especially if using a bipod off of a hard surface. But it handles very easily in the field and is great to pack around due to its light weight and compact size. The short medium weight 16.5″ barrel combined with the hot 6.5 CM cartridge meant the barrel heats up very fast and we did have to fight heat mirage coming off of the barrel that was visible in the scope which added a challenge to our accuracy tests. The rounds fed smoothly from the magazine most of the time, but there was an occasional hiccup when the round would not strip as smooth and while it would chamber, there was a definitive rough ‘hitch’ while doing it. Single feeding is very difficult as you need to insure the bullet is part way in the chamber before closing the bolt to insure it feeds, it is not a simple drop in and close the bolt process. Rapid bolt manipulation works pretty well without complaint. The blade in the trigger is a nuisance, but we had no failures to fire and it behaves very much like a two stage trigger. While the stock is not a tactical style stock, it still worked okay and did what it needed to do. The recoil is brisk for a 6.5 CM, but it was manageable though with the already mentioned muzzle flip. 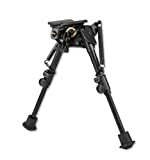 The molded in plastic sling swivel worked fine for mounting a Harris Bipod 6-9″ bipod and it will be interesting to see how well they hold up over hard use. To get an additional feel for operational use for the 783 Heavy Barrel, it was time for the 300 Yard head shot test. Because the American Eagle 120gr OTM performed the best, that was the ammo we selected for this test. We dialed in 5 MOA of up elevation and then fired the three rounds in rapid succession, taking 22 seconds. The results from our test are visible below. From a good prone position and sandbag, the muzzle flip is better controlled and the followup shots came naturally. The group size measured 3.272″ (1.042 MOA) and was centered a bit high and right from the aiming point. Because the center of the group is a matter of proper scope adjustments, we do not penalize the rifle due to scope adjustment error. Instead we just take the group size as a part of the test score. Overall, for a $400 rifle, this one did not do bad at all. It is down in the bottom third on the 300yard head shot leaderboard, but for the price, this is a solid result and any score above 100 we consider a “passing” grade. As I mentioned in the beginning of this article, we have to evaluate the rifle in terms of usability as a sniper rifle, regardless of the price. On a whole, yes, it is serviceable and can do the job if needed, but of course there are compromises that come with a cheap rifle. We certainly would opt for the 24″ barrel over the stubby 16.5″ barrel, not only will you get more velocity, but it will help control muzzle flip and provide a good balance. It is less than $10 more for the longer barrel and would be worth it. As you already know, there is a lot of plastic on this rifle, it seems everything that can be plastic…is. All in order to save money. The floorplate is perhaps the biggest concern, will it hold up? It should if not abused, but time will tell. Same for the stock and other components. The design of the rifle is satisfactory and everything works okay, though the magazine release can be a pain sometimes to get to, especially with gloves on and being able to single feed would be nice. These compromises are certainly not limitations to just this rifle only. Additionally, the accuracy is fine on the rifle, but would likely be better if the barrel truly was free floated like it is supposed to be. So there you have it, while we cannot endorse it as a full fledged duty rifle ready for the rigors of everyday sniping use, we can say that for a cheap bug out rifle anyone can afford, it’ll work and could even pass as an emergency sniper rifle, especially with the longer 24″ barrel. In fact…be watching these pages for the conceptual article we are working on involving this rifle. As always superb review. Good eye on spotting a good budget rifle. I have been debating on this or an American ranch in 300 aac for whitetail. Both seem to be similar in price, features and and performance. Tough choice. 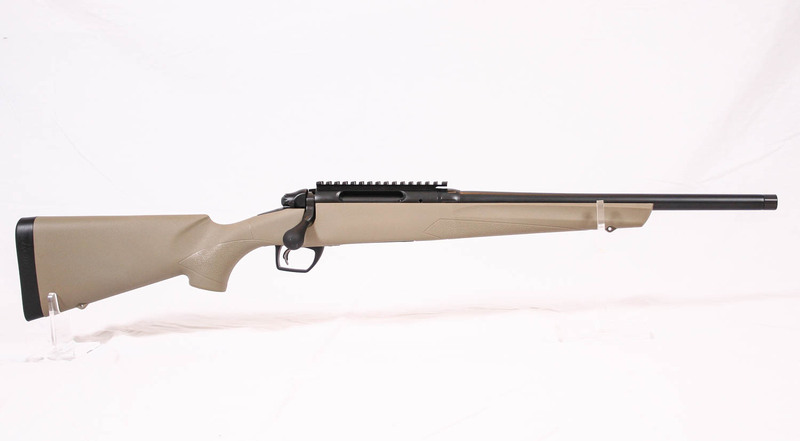 The last Remington 700 I bought was horrible though and makes me hesitant. Just a heads up on your budget build idea. The new Oryx Chassis will be available for this rifle. Should improve shootability quite a bit. There are also aftermarket barrels available in the event you ever wanted to rebarrel. How much will it cost in the end ? Looks like a knock off of the Ruger American. I have yet to shoot the Rem. 783 but have shot several of the Ruger American Rifles. They shoot! I recently purchased one in .204 Ruger with a SWFA SS 12X on top with Fiocchi 32 gr. VMAX rounds. Once on paper the first group was just over 1/2″. Group two 5/8″. This was at 100 yards. Also with the Rugers depending on which model American you get AI style 5 or 10 rounds mags. Kenny I have a Ranch in 300AAC. Reloading 208 Horn. VLDs, suppressed I felt like a kid again with my first 22. Pure fun! I would call it a knock off, but yes, they both target the same entry low budget level market. They perform similar. Read our Ruger American review here. 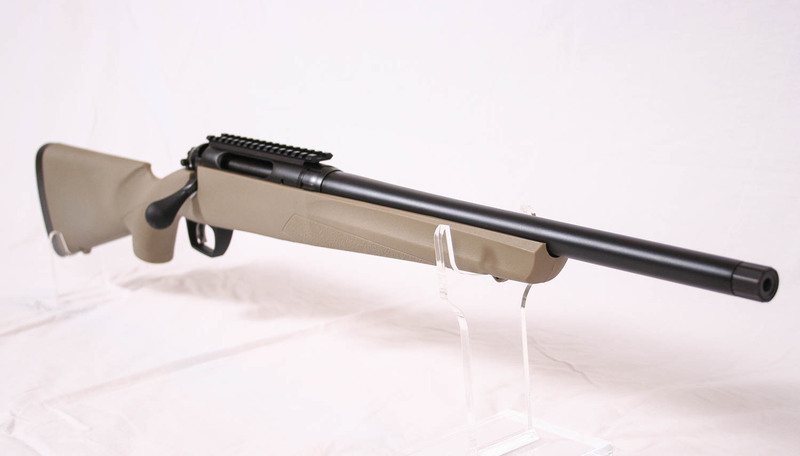 I have this rifle in 308 with a 20 in magnum taper barrel,set in a MTD chassis. It consistently shoots .6-.8 with Federal 168 match! With 150-165gr hunting rounds I`ve never shot larger than a 1.2 in. 5 round group I consider this to be excellent performance from a rifle package that cost fully assembled 1500 dollars! and it takes AIC mags! Thank you so much for a review of this rifle. I own this rifle and absolutely love it. Great hunting rifle. Especially if you have to pack it up and down hills. Shoots like a dream. I love the objectivity of your review. No hint of gun snobbery here. In your review you stated the muzzle diameter was .750 inch’s on the 16 1/2 version. Have you measured the diameter on the 24″ version?